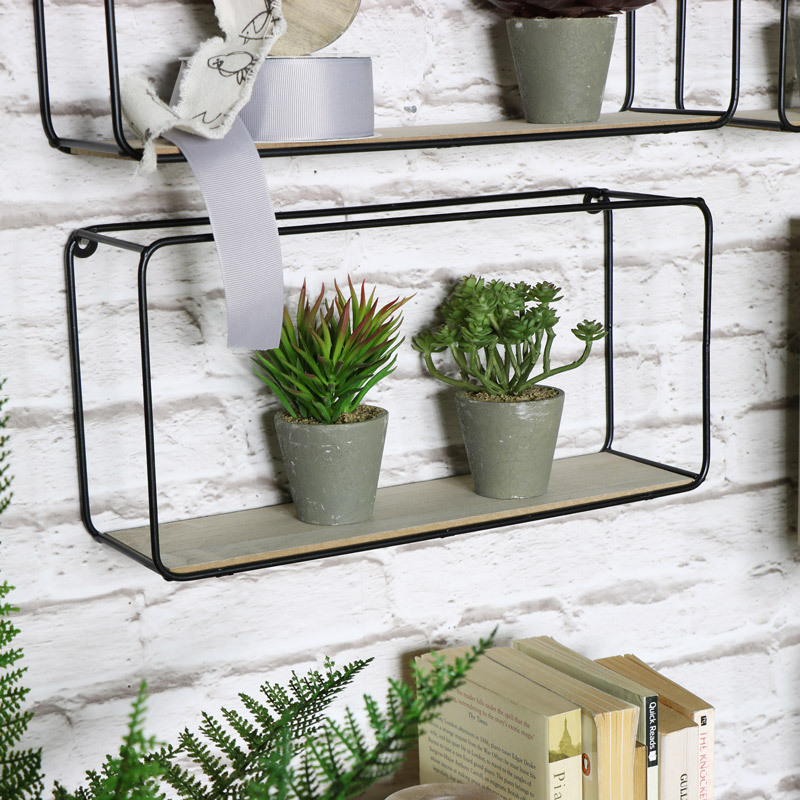 This set of 4 wall shelves are a great way to add a fresh new look to your home. 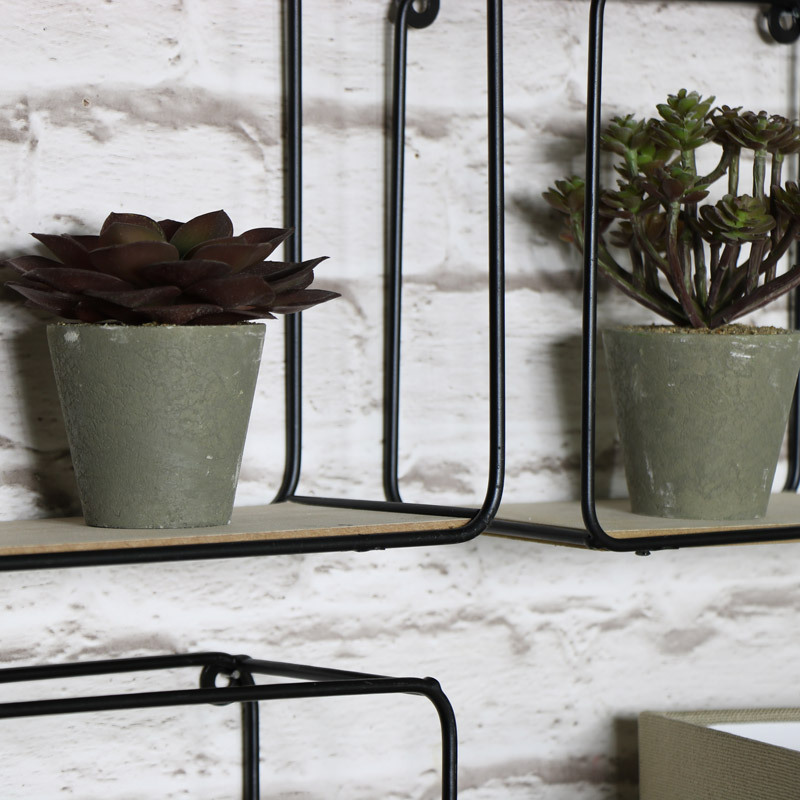 Black wire metal frames with natural wood shelves that will suit a modern or rustic interior with their retro, industrial styling. Just perfect for any room and a great look for the living room, hallway or bedroom. Offering the best way to display ornaments, little pot plants and treasured trinkets in the living room or hallway or can be used in the bedroom for holding toiletries, lotions, potions, perfumes and aftershaves. 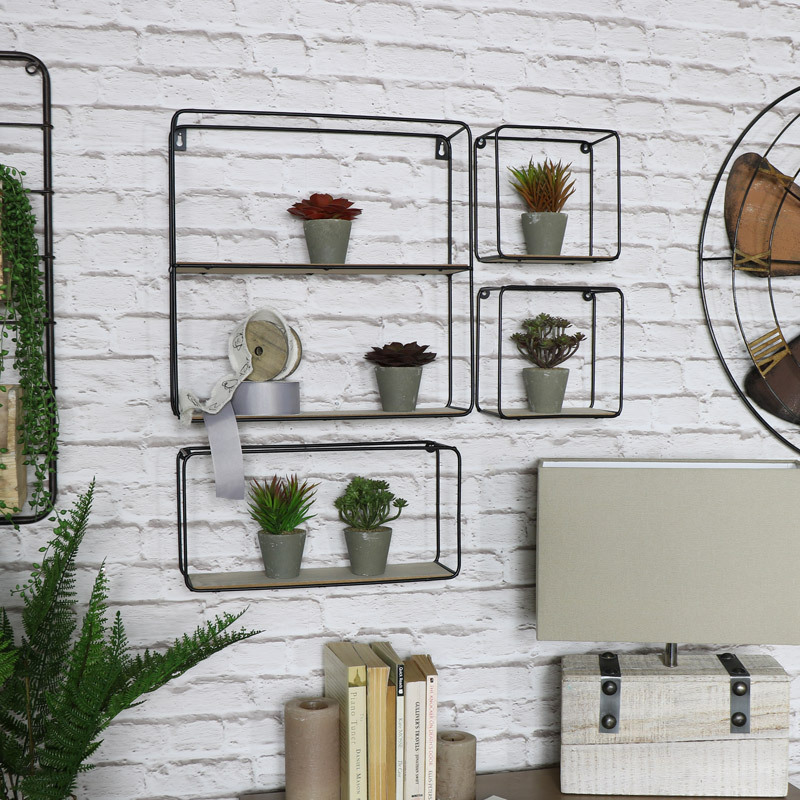 Used together to make a quirky display or individually with 4 wall mounted units in various sizes with the largest unit featuring 2 shelves. 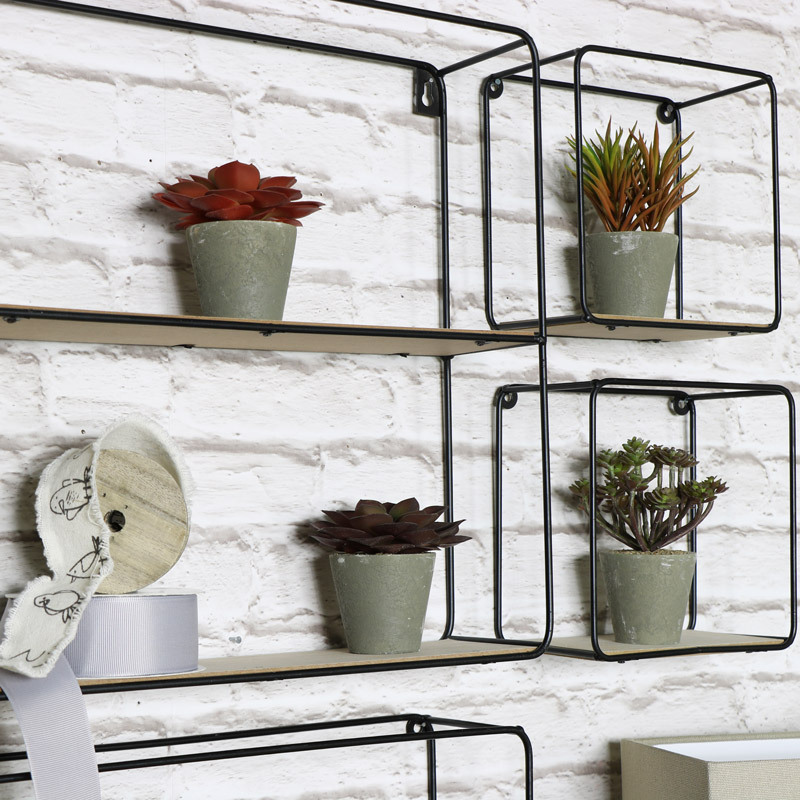 The next unit comes in a rectangle shape with the 2 smallest shelve in square design, all featuring an open top.